Smart Sound Mitigation System. Read more about the HSD-System and its benefits. 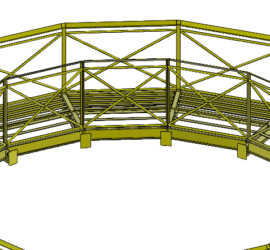 The net basket is a steel framework to deploy the HSD-Nets. Read more about the two kinds of net baskets for maximum flexibility. Please find a list of offshore wind projects in which the HSD -System was successfully used as underwater noise mitigation system. 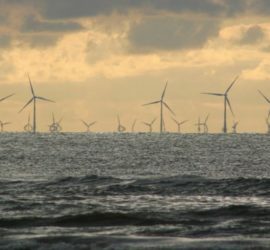 A large number of wind turbines are being built offshore to cover the increasing energy demand with renewable energies. During the installation of offshore foundations, piles are often driven into the seabed with hydraulic impact hammers. This installation work cause significant underwater noise emissions radiated from the pile surface into the surrounding water. Underwater noise has a potentially harmful and dangerous impact on marine life. Especially marine mammals like whales and dolphins orient themselves primarily by acoustic signals which are particularly affected by the high noise levels. Due to larger piles requiring higher driving energies, even higher noise levels are expected in future offshore wind projects. This is also accompanied by an increasing number of erected offshore wind turbines. To protect the marine environment, the German BSH (Federal Maritime and Hydrographic Agency) has established threshold values for underwater offshore construction noise. 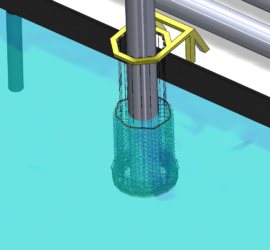 OffNoise-Solutions has developed the HSD-System, a patented passive underwater noise mitigation concept, in order to achieve these required underwater threshold values.